Easy enough, right? Put the oil in the pot and swirl it around to try to coat the bottom. 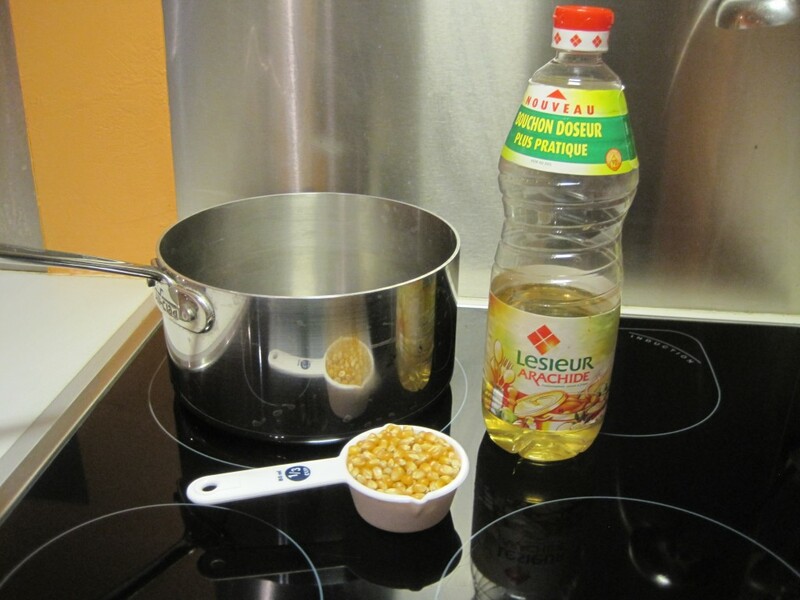 Add about 4 or 5 popcorn kernels, place the lid on top, and shake it up a bit to coat the kernels in the oil. Turn the heat up to Medium-High. We have a convection stove here, which ranges from 1-9 and I put mine on a 7. After a few minutes, you will one of the kernels pop. This is your cue to standby, the oil is almost hot enough. 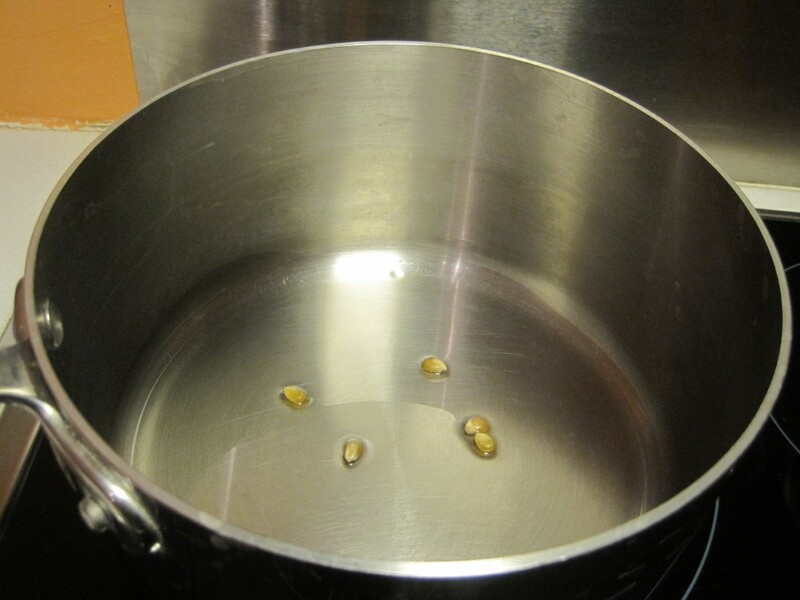 Once a few more of your test kernels have popped, open the lid and pour in the rest of the kernels. Replace the lid and gently shake to coat the kernels in the oil and put the pot back on the stove, keeping the same temperature. 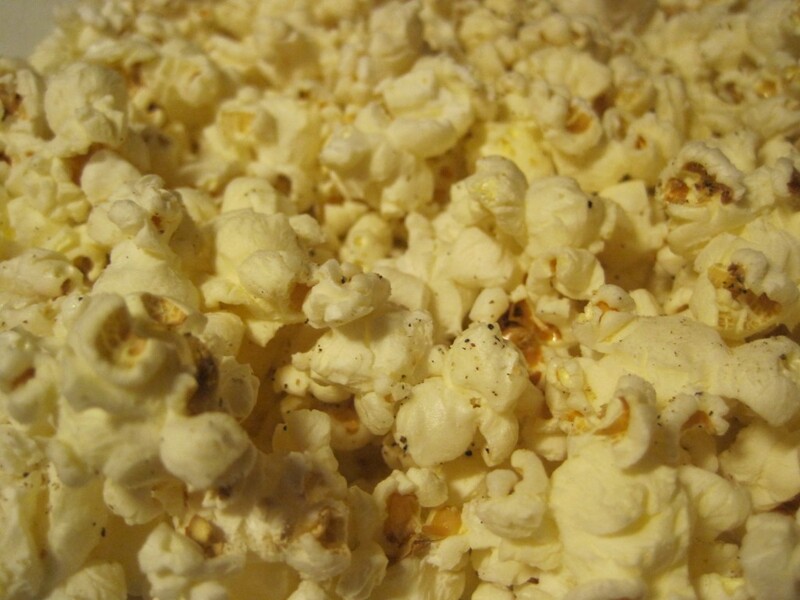 After another minute or so, your new kernels will start to pop. This is when you will keep the pot on the burner, but gently shake the pot. As the popping becomes faster, continue to shake the pot, a bit more vigorously now, and about every 10 seconds or so, crack the lid open allowing some steam to escape. And that my friends, is my trade secret. Ever since I started doing that, I haven't burnt a single piece of popcorn. Once the popping has slowed down with about 2-3 seconds between pops, just like in the microwave, your popcorn is done. Immediately pour the popcorn into a bowl. 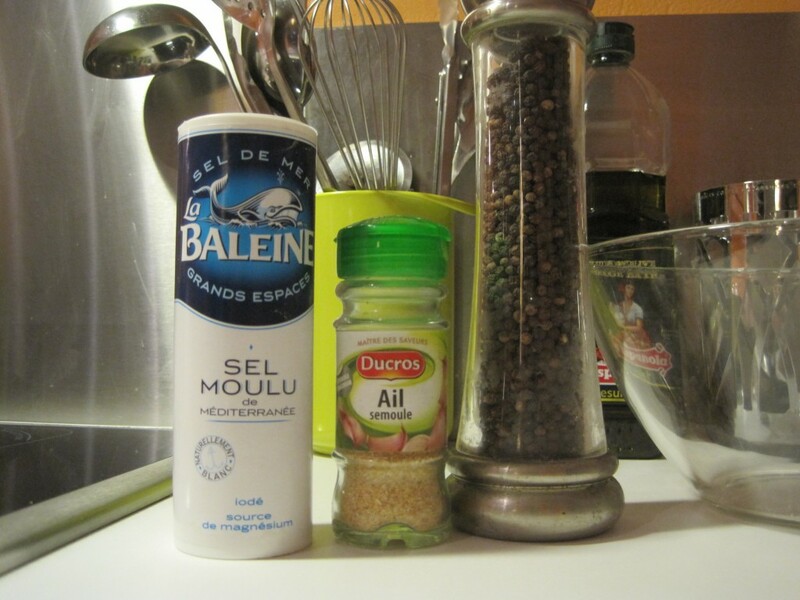 Now comes the fun part - the spices! We like to play around with a lot of flavor combinations (oregano, chili powder, cumin, parmesan) but my go-to combo is very simple: salt, pepper, and garlic powder. No need for butter ever - the oil gives it a great flavor and the spices pack enough punch. 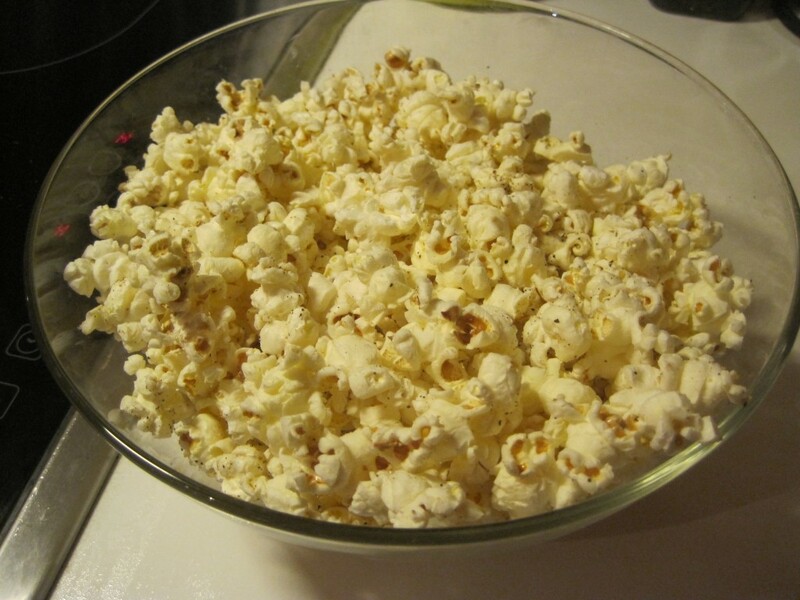 Mix it up real good and enjoy your perfectly popped bowl of popcorn! sorry for the dark picture. now that i've mostly kicked my popcorn habit, I only eat it at night. i am ALL over this. Just a touch of butter and some shakes of the hot sauce will do you right, too! Delish! ooh, Michael would love that!